When the Nigerian lawyer, journalist and publisher Richard Akuson decided to create the gender-nonconforming magazine A Nasty Boy in 2017, he knew he'd be taking a risk in a country where toxic masculinity is rampant and homosexuality is punishable by law. He did it anyway. To him the stories of people and ideas that challenged rigid notions of gender and sexuality were too important to go untold—especially in Nigeria. The very dangerous threat of homophobia that the publisher sought to challenge with A Nasty Boy, reared its ugly head last year in Lagos when Akuson was ambushed and beaten in a targeted attack that he claims was in response to his work. This led him to flee Nigeria for the United States where Akuson feels safer. After spending several months seeking asylum in the US, the publisher decided to share his story publicly this morning in a two-part post on A Nasty Boy's Instagram page. "For a very long time, I wrestled with what to do: to speak up and forever be defined by this heinous experience or stay quiet and continue to pretend as if nothing happened," Akuson tells OkayAfrica. 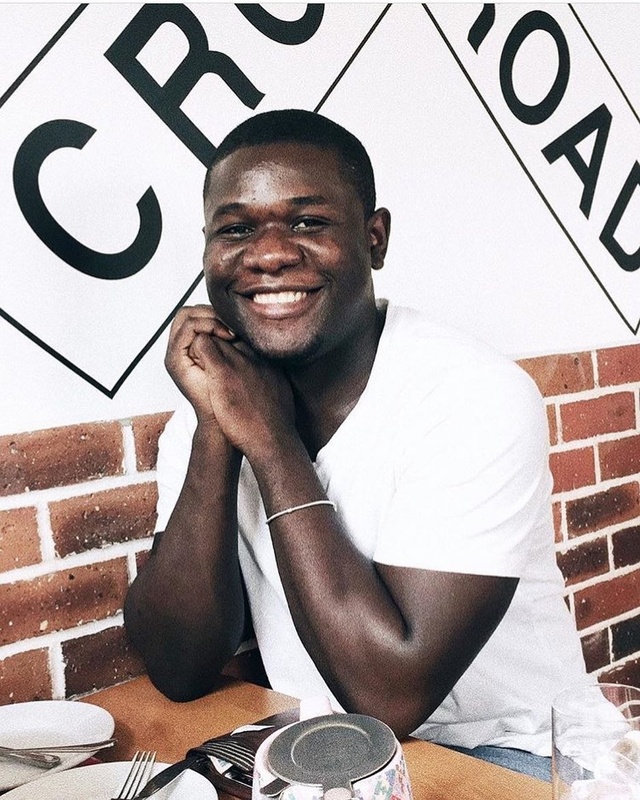 "I realized recently that as dehumanizing as the experience was it has taught me so much and brought me even closer to the harsh realities of LGBTQ + people in Nigeria and across the world. But I've also decided to reclaim the humiliation and brutality, and draw as much fortitude from it as I can as I continue to speak about the brutality of homophobia and the scars it leaves behind." Akuson's experience, is one of many which highlight the critical need for radical progress concerning LGBTQ issues in Nigeria and beyond. Read Akuson's story, which was originally shared on Instagram, in his own words below. Hello, I don't know about you, but I've missed curating this warm, safe little haven we created together online. It feels like yesterday when I started A Nasty Boy in the solemnity of my law school dorm room. The past few months, however, have been some of the most trying times of my life. I've had to flee the country of my birth - Nigeria, after surviving a brutal homophobic attack. Leaving Nigeria for the U.S was a matter of survival; a matter of life and death. While the attack, in and of itself, was extremely searing, it is the emotional, mental and psychological toll it took on me that breaks me down every day. Although the welts have healed and the aches have gone away; the trauma lives on. You see, I was attacked in retaliation to this platform I started as a way of humanizing and normalizing the lives and experiences of LGBTQ+ Nigerians. My attackers thought that by ambushing me, stripping me of my dignity in many ways that I can't go into now—they'd ultimately silence me, but I'm happy to announce they failed! Getting to this point where I can be open and honest about my attack has been an arduous, emotional journey. I've had days I crumbled like the crust of a jelly pie and nights that seemed too long to bear. I promise you, those guys did a number on me. But today, I'm happy to say that if nothing else, the past seven months -- as tumultuous as they've been—have shown me how much of a fighter I am. This horrific experience has also renewed my faith in the goodness of mankind. My closest friends have rallied around me like bees around honeycomb without asking questions or seeking an explanation. Many times and in many ways, they've been my lifeline. While this attack now defines my life in some ways, it has also made me more passionate about the rights and humanity of people like me across the world. It has humbled me in a crippling way. It has also shown me that in the face of virulent homophobia not even visibility, nor privilege can protect LGBTQ+ folks from the imminent violence of homophobia. I'm happy and thankful to be alive. I'm thankful to be in the U.S where I'm protected by law to have dignity of person as a gay man. My heart and prayer goes to those who continue to strive for their humanity and survival everyday in the face of homophobia in Nigeria (and beyond) but cannot leave like I did. I pray you find even the littlest comfort and kinship in knowing that I, too, went through what you're going through. To our dear readers and followers from around the world who have stuck with A Nasty Boy through thick and thin, thank you! Today, you can choose to end homophobia, transphobia, and other hateful rhetorics and tendencies in your immediate circle. Please, do! I look forward to charting a new path with you all. I'm in the US and I'm looking to collaborate and speak truth to these many things that continue to hold us back. Send a DM so we can make some magic! Follow Richard Akuson and A Nasty Boy on Instagram. You can support A Nasty Boy Magazine and Richard Akuson's asylum-seeking efforts by donating to his Go Fund Me page.